SSL Certificates are mini data files that digitally bind a cryptographic key to an organization’s details. 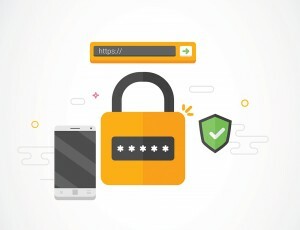 When installed on a web server, it actuates the padlock and the https protocol allows secure connections from a web server to a browser. SSL is used to secure credit card transactions, data transfer, and logins, and in recent times it is becoming the standard when securing browsing of social media sites. An organization needs to install the SSL Certificate onto its web server to initiate a safe session with browsers. Once a secure connection is established, all web traffic between the web server and the web browser will be secure. When a certificate is successfully installed on the user’s server, the application protocol also known as HTTP will change to HTTPs, where the ‘S’ stands for ‘secure’. Depending on the type of certificate purchased and what browser the user is surfing on the internet, a browser will show a padlock or green bar in the browser when the user visits a website that has an SSL Certificate installed. SSL Certificates uses public key cryptography. This specific kind of cryptography harnesses the power of two keys which are long strings of randomly generated numbers. One is called a private key and one is called a public key. A public key is known to your server and available in the public domain. It can be used to encrypt any message. For instance, if Lisa is sending a message to Marley she will lock it with Marley’s public key but the only way, it can be decrypted is to unlock it with Marley’s private key. Marley is the only one who has his private key so Marley is the only one who can use this to unlock Lisa’s message. If a hacker interrupts the message before Marley unlocks it, all they will get is a cryptographic code that they cannot break, even with the influence of a computer. Why The User Needs an SSL Certificate? Keeps the user’s data safe and protected between the servers. WHERE DOES USER CAN BUY AN SSL CERTIFICATE? SSL Certificates need to be issued from a trusted Certificate Authority. Browsers, operating systems, and mobile devices maintain a list of trusted CA root certificates. The Root Certificate must be present on the end user’s machine in order for the Certificate to be trusted. If it is not trusted the browser will give untrusted error messages to the end user. In the case of e-commerce, such error messages result in immediate lack of confidence in the website and organizations risk losing confidence and business from the majority of consumers. The browser and operating system vendors such as Microsoft, Mozilla, Opera, Blackberry, Java, etc., trust the legitimate Certificate Authority and that it can be relied on to issue trustworthy SSL Certificates. Secure Sockets Layer Ssl certificate by admin.